There are so many ways to journal your travels. 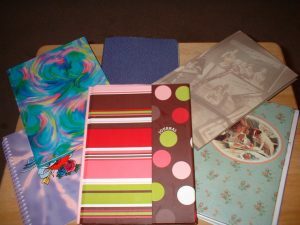 Some prefer to write in actual journals, blog about their travels, some like traditional scrap booking and some digital scrapbooking. Some have even started a travel journal on Pinterest and other sites out there for travel journaling. There is no wrong answer, it just depends on your personal preference. I always have the best of intentions when we go on vacations to keep a journal but I always slack off towards the middle of the trip. I have been reading books on travel writing and also how to keep better travel journals. We always take a lot of pictures but I also plan to start recording quick bits here and there so I can remember things easier. I just tested my iPhone to see if I could record voice memos while in airplane mode and it worked great. I’ll probably be changing to an Android (Samsung Galaxy Note 3) before we go so I’ll have to ask Riki from beansandtortillas.com to see if it works on the Note 3 because she has one. Another tip was not to write down everything that happens on your trip. You don’t need to remember everything you ate on vacation unless of course you’re keeping a food journal for health. So just write down the most memorable experiences you have during your travels. Keep notes throughout the day of places/people/things that you don’t want to forget. Then you can write more at the end of the day and those thoughts will jog your memory. Another tip I got was to start writing in advance, pre-trip which I have already started doing a little bit about our plans for traveling to Roatan. I am learning a lot as we plan our vacation so I’ll start writing about all of that soon. Another thing Riki and I plan to do daily is sit down together (since our families are traveling together) on the deck/patio and spend some down time with a tasty drink, during the afternoons while everyone is napping or just chilling out to write our memories and blog, etc. This will be our main 2014 vacation so we are going to relax as much as possible! I’m in the middle of reading Break Into Travel Writing: A Teach Yourself Creative Writing Guide by Beth Blair. Beth shares trends and gives you practical advice on how to turn your travel writing into cash. I have also been looking at children’s travel journals because there will be 3 young ladies we’ll be traveling with to Roatan, Honduras and I want them to always remember their travel experiences. I think it’s best to start them young because I wish I would have written more memories as a child. There are quite a few children’s travel journals that we’ll have to choose from. I look forward to shopping for them. Do you or your children have travel journals?